In the U.S., polenta still has sort of a fancy connotation. It sound like (and often is) something you’d order at an elegant restaurant for dinner in your tuxedo after going to the theater (th-E-Ate-er). Don’t let the name fool you. Polenta is basically grits. 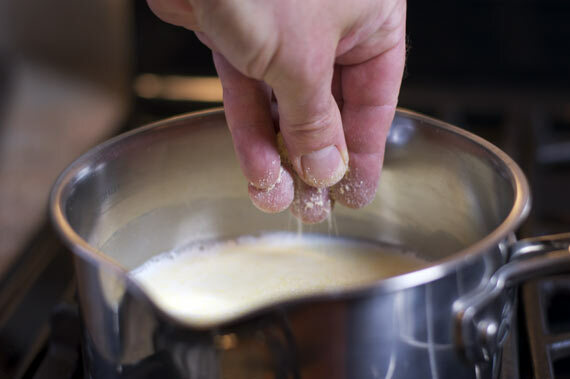 It’s cornmeal that’s cooked slowly until it has a smooth and creamy texture. The Italians figured it out, particularly in Northern Italy. They have polenta for breakfast all the time. “Ay Guido… thats-a some good-a polenta, Mamma Mia!” they might say, if I may be free to stereotype. 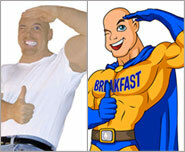 They have it for breakfast, lunch and dinner because it’s so versatile. I started playing with polenta for breakfast a couple years ago and loved it because it is so versatile. Anything you can do with oatmeal or other hot cereals, you can do with polenta. That usually means a sweeter dish (ex. Honey Almond Polenta). But because it’s so similar to (some might say the same as) grits, you can also go savory (ex. Baked Eggs with Polenta & Bacon). 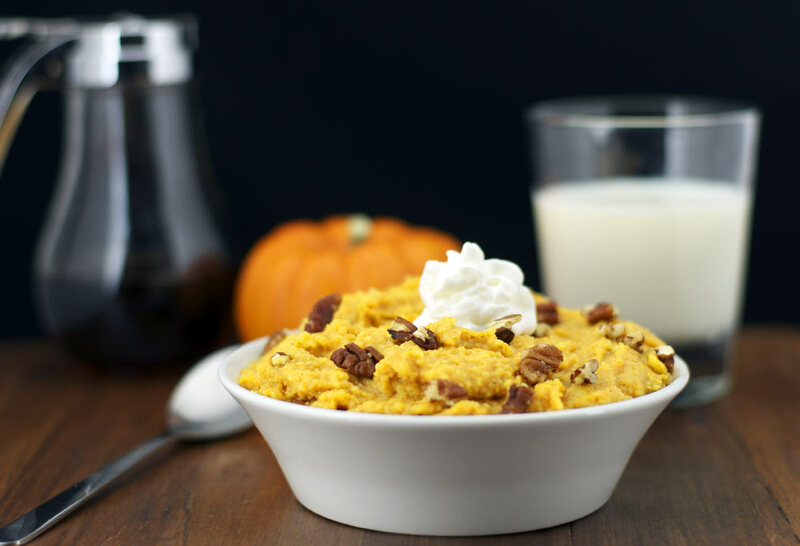 We’re getting very close to Halloween so I thought it’d be fun to do a Pumpkin Polenta and try to jam all the wonderful flavors of a pumpkin pie into a hot breakfast cereal. I’m super glad to report that the first attempt at the recipe was a big success. It would have been a real Halloween horror story if I had to throw out a bad batch and start again… and again… as is sometimes the reality. 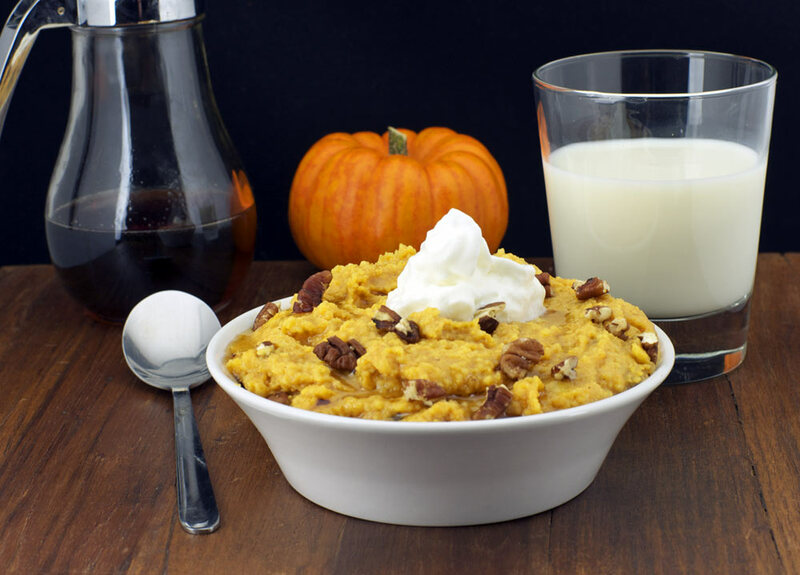 Thanks to pumpkin puree and some typical holiday spices, the polenta really took on the flavors of pumpkin pie. 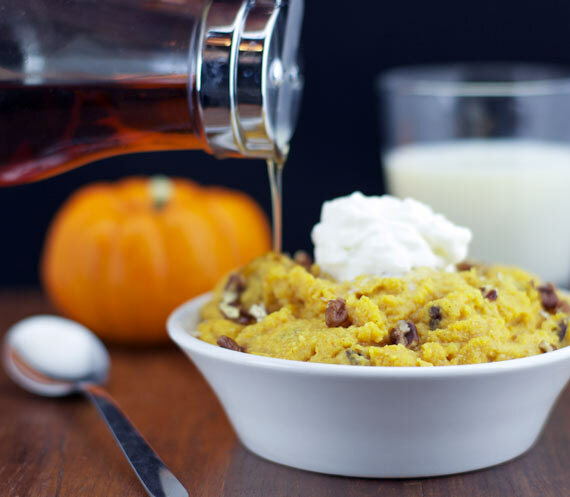 The texture of the polenta seemed perfect for the pumpkin application. 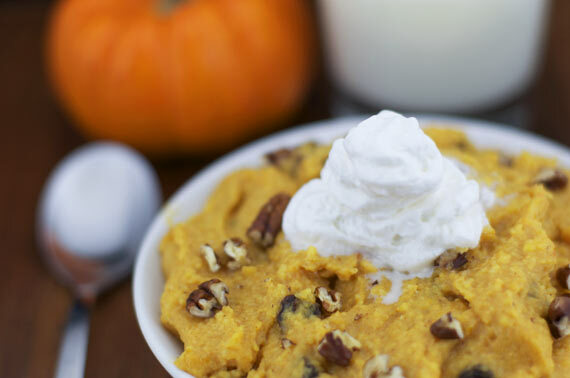 The mouthfeel of pumpkin pie is smooth yet hearty, very similar to the polenta. Of course, I bumped up the similarity with a dab of whipped cream at the end. That step isn’t necessary, but I recommend it. 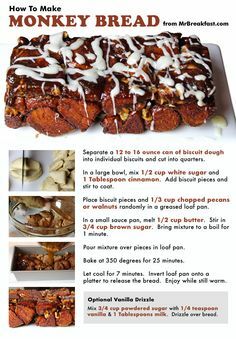 For the ingredients list and the printable recipe, click here. Basically, all you do is bring milk and pinch of salt to gentle boil. Slowly add the polenta, stirring constantly to get rid of any lumps. Reduce the heat to low and give it a stir every 20 seconds. After about 5 minutes, there you have it… polenta. Much like oatmeal, the polenta is now a canvass to do anything with that you’d like. 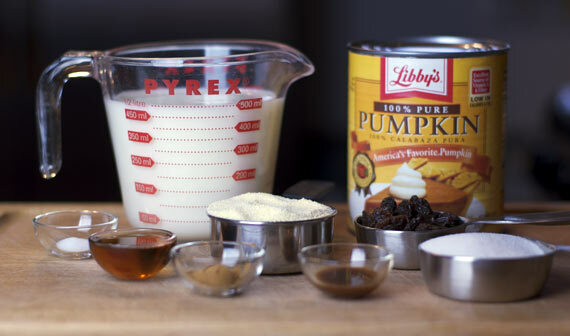 For this recipe, I stirred in some pumpkin puree, maple syrup, sugar, cinnamon and vanilla. How easy is that! I also threw some raisins into the mix. That’s something I’ll probably skip next time. 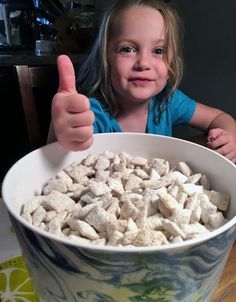 While they added a certain extra holiday appeal, they seemed to interrupt the smooth texture of the cereal. Therefore, I made that ingredient optional in the final recipe. 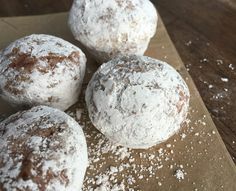 For the finishing touch, I topped each serving with a few chopped pecans, a drizzle of maple syrup and a dab of whipped cream.